Anita: And I'm, Anita Pursley. Welcome to Industry Corner. A podcast where we'll be talking about industry topics and breaking them down into easy to understand terms. Chris: Today we're going to talk about some announcements from USPS headquarters, an update on the President's Task Force and the newly confirmed Board of Governors, industry feedback on the Federal Registery Notice limiting marketing mail and improvements on address quality. So let's get into it. 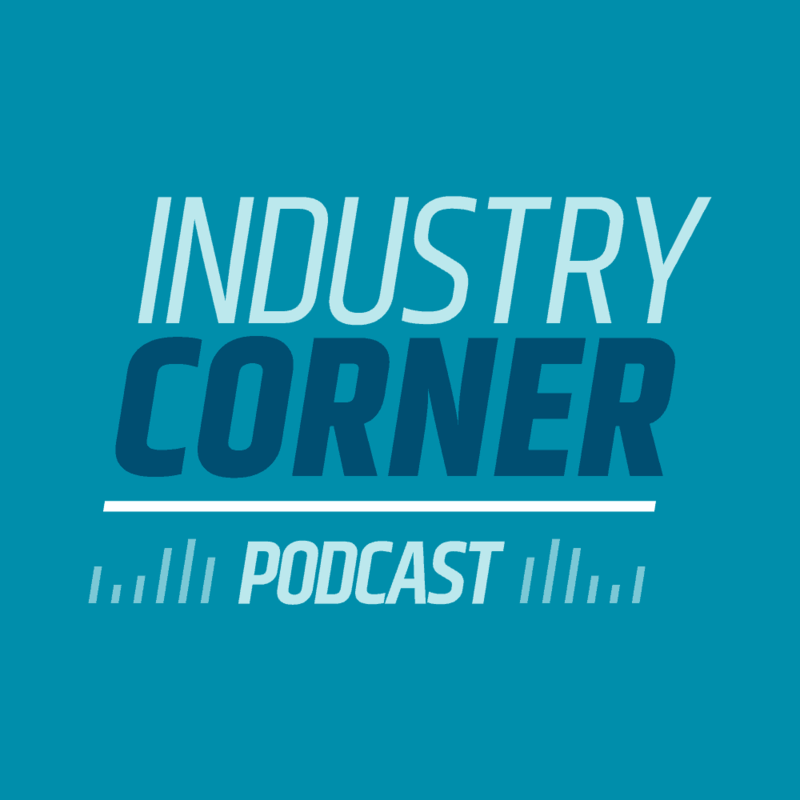 Chris: Welcome to another Industry Corner Podcast brought to you by BCC software. My name is Chris Lien and once again I'm joined here with Anita Pursley. Hi Anita. Chris: I'm well, thanks. Lots to talk about as always. So why don't we just jump right into it. Anita, I understand that there's been a couple of announcements from USPS headquarters with some names that people might recognize. What have you heard lately? Anita: You know, we always love it when the postal service communicates with the industry on things like this, but there's been some exciting promotions or some reassignments and also some key people are retiring. So I'll save the most important one for last, at least the one I think most people will recognize, but anyway we just recently heard that Kelly Sigmon, she was the former Retail and Customer Service Operations VP is now going to be reporting to marketing and she's been named the new VP of Customer Experience. Chris: Oh, that's great news. You know, I think that's a welcomed step for the postal service to start looking at the customer experience overall. Hopefully that includes mailing service providers as well and I know that Kelly did a lot of great things in helping the retail and ushered in some exciting improvements that I've seen. Certainly a kiosks and things like that. So I think Kelly's up for the duty and hopefully we'll see some real good improvements on that. I know customer support is very important here at BCC software. That's a personal thing that I'm really keen on, which is why we've got all the certified mail piece design professional certified customer support reps so I think it's a welcome move from the postal service. Good. Good for Kelly. Anita: I think so too, and I think she's well liked by the industry. Her intentions are always the best. Anita: And then next, Mike Amato, the VP of Engineering Systems. I know I've worked with him quite a bit over the years. He is retiring after 33 years. Chris: Wow. Okay. He brought in some really exciting technology, right? Anita: Right. I think he was really involved in optical character recognition equipment and then I think the latest was he was responsible for the MDDs as they call them, the Mobile Delivery Devices. He's contributed a lot to the organization and as far as I know, I don't see a replacement being named yet, but I'm sure we'll hear soon. So the last one that I think just about everybody has heard the name of Becky Dobbins. She is retiring Chris on October 1st after 50 years. I mean, seriously, how many people can say that? Right? She doesn't look 50, so I don't know how that works. So, as you know, Becky was responsible for mailing requirements and the DMM fell under her. All of the, you know, the PCSC, the pricing and classification service center, I believe reported under her for quite a while and she's very, very important to the industry. So what is your reaction to that? Chris: So a couple things. First of all, I absolutely agree, that's quite a quite a testament to her dedication to the postal service and I think the industry as well. I've always had a great relationship with Becky Dobbins. I've always respected her and been so impressed. Her participation on the mailing software development group with Idealliance and in other venues has always been about reaching across to work with the industry to help us understand changes. She's always been right there on those calls. Even sometimes when she is supposed to have the day off, I could hear her voice on the call and helping give us some guidance as to what the post service was expecting for postage statements or some of the changes with that. And I also think it's worth noting that Becky is a Mumma Award recipient as well, and that's really a reflection of her participation with the industry and her dedication to the overall customer experience. So I'm very excited for Becky. Anita: That's the Idealliance award. The Mumma Award. Chris: Yup, exactly. So that's great for Becky. It's great for Mike. We're gonna miss them. I'm sorry to, you know, we talk about brain drain unfortunately. That's kind of part of this too is we're going to lose some, some really key individuals. Anita: Exactly. And we haven't heard who's going to replace her yet, but those are going to be big shoes to follow. Chris: Okay. So turning to president's task force and the Board of Governors. So anything new with that. We've got Governors that were confirmed. What's the latest, Anita? Anita: Okay. So last time I reported that the task force report had been given to the President, but that there was concern now or speculation that it might not even see the light of day. The reported sale last week, I guess it was September first a spokeswoman for the Treasury Department, told The Hill, which is an editorial that I read every week or every day, and I'll read it if you don't mind, “the task force will continue our work to identify solutions to strengthen the USPS business model, driving toward a public report before the end of the year. It is clear that the governance of USPS must be fixed and we encourage congress to take action towards that goal”. So that is encouraging. It does look like we might see the report after all the hearing, of course that was scheduled for the fifth, that did not materialize and we may, we may still have a hearing, but we know it won't be until after the midterms. Anita: So on the bog front, I just learned this morning that the new governors were sworn in last week, the week of the third during a private ceremony at the Treasury Department. So that's exciting. So now we have Dave Williams and Mr Duncan as our new governors. Their pictures are not on the website yet, but I'm sure that, uh, that will come soon. The first meeting is going to be this Thursday, September 13th 2018. It is a closed session, but they're having a brief open session from eight to eight and at postal service headquarters in the Ben Franklin room. So there's some action on that front. Anita: right. Speaking of that, the new CPI number will come out this Thursday, September 13th, which coincidentally happens to be the same date as they're having their first meeting. So we would expect the governors to be voting on moving forward with their intention to raise prices in January. I was also told that management does plan to recommend a full slate of 2019 promotions, so that's also pretty exciting. It's too late for 2018. I kept crossing my fingers thinking if, you know, if everything lined up as well, we might see some of the fall promotions for a short period of time, but it doesn't look that way at this point. Another thing we talked about last week that is really, really causing a lot of consternation in the industry is that Federal Register notice that we discussed. So the postal services reportedly seeking to limit marketing mail pieces to paper only. So Chris, what are you hearing? Chris: Well, you're right there. We're hearing a lot of information about that and feedback particularly, I've noticed that the Alliance of Nonprofit Mailers has taken a very strong position on September fourth. They sent a letter from the office of Venable, the lawyer that represents them to the postal service, letting them know that first of all, the proposal, uh, the federal registered notice on limiting that violates title 39, section 3626, which entitles nonprofit mailers to mail certain kinds of goods at nonprofit market mail rates. And the Alliance of Nonprofit Mailers also talked about that this proposal isn't just about banning your non paper, it really goes after merchandise and goods and in and rules out things like merchandise and fundraising and membership programs, even limiting the ability to male membership cards or membership merchandise, all of that would be banned. And the real concern that the alliance, uh, stated is if you look at the language on that, it's not just about, again, banning paper, they're really saying that they don't want anything that the postal service could deem as merchandise or goods. So it severely limits this. It's not just about the paper, which is what our understanding was that people were using marketing mail to do product fulfillment. There may be a deeper issue going on here. And it's interesting, you know, they, they request is at the post service, withdraw the federal register notice, but they're not because they're not withdrawn yet. I noticed that it's also prompted MTAC, the Mailer Technical Advisory Committee to make a statement on this as well, that it looks like they're going to be proceeding with making this issue a key issue. Um, and that's a phrase that I think some people maybe don't understand. Anita you've served as the chair of MTAC and I think when you were the chair, key issue was, was something that might've come up at that particular time. Can you help us understand what a key issue. Anita: a key issue not come up very often and it's really not a good sign. It's really a sign that MTAC has failed and that they haven't come to a resolution between the postal service in the industry. So I think to be completely transparent on this, I think that they will only raise it as a key issue if the postal service doesn't retract this federal register notice. But as you said, it doesn't come up very often. Only once during my chair, and I don't believe you had any while you were chair. Did you know you did? Chris: Well, the conversation came up a few times, but we were able to work through it and that had to do with the rolling out the requirements for the advanced verification. We ended up forming a task team instead and that was able to help us move forward with that. Anita: Right. So in this case, if the chair has stated that they don't want to test, they literally want the proposal to be retracted and it's very puzzling because if the postal service really is targeting mailers who take fulfillment products that are, you know, out of competitive products and move it to marketing mail, why aren't they just focusing on those mailers? Chris: Yeah, I don't understand that either. I really don't. So we'll have to see what happens here. Certainly I think, uh, having MTAC raise it as a key issue, maybe they'll get the attention to the postmaster general to see that, you know, the industry iss serious. Certainly the nonprofit enhances, is serious with that, with their letters, but that's definitely one to watch and I think that there are some real concerns with that. Anita: All right. So, um, I guess we could talk about the subject that we had mentioned last time as being our topic of interest for this week is address quality and I think I mentioned that the postal service intends to resume billing for ACS. We had the errors occur quite a few months ago in the postal service has stated that they feel as though the problems are fixed and they're going to resume billing. But Chris, I heard on a industry call last week or maybe even the week before that some mailers are still seeing some discrepancies. Anita: Right. That's so far in the distance to me. So tell me why this process takes so long or what's going on with that. Chris: So there's a couple of things. First of all, we need to make sure we understand what all the changes are for address quality because sometimes changing one little area can affect the way that we're assigning addresses in a completely unrelated area. The second is that it takes time to change the software and the roll that out to the industry. A lot of mailers have very sensitive to how addresses are assigned for their ZIP+4 and a lot of mailers leverage the return codes that come out of these various postal products and in this case the DPV, Delivery Point Validation database at the post service provides as part of cast certified software that is going to be expanded. There's a real focus now on secondary address information and the postal service is going to be expanding the return codes on the DPV product to be able to get more information and clarity on secondary addresses and things like our triple seven, the rural route addresses as well. And also on military address assignments. But you know, Anita, with all of the focus on these postal databases, CASS Cycle O, ACS, in my mind that's still all related to postal compliant address quality checking the box and the posted statement. And I think there's an opportunity for the industry to start leveraging industry databases in conjunction with postal and really go beyond being just compliant, you know, sort of going into a compliance plus and, and, and I have to applaud companies that are offering industry solution. So check with your software provider, you may find access to it, but being able to get access to like an apartment append solution or an industry provided proprietary change of address to pick up the change of addresses that are not being filed through the US Postal Service such as millennials really can help move beyond just postal compliant. I know that BCC Software recently launched this compliance plus solution, a single pass solution. Um, that sort of brings all those together. And what I thought was interesting about that, Anita, is it strategically leveraging 4 different postal database, our postal databases and in the industry. So, right, so 2 postal databases, 2 industry databases, but it's the specific sequence that those are leveraged in that particular order. They're seeing a 40 percent improvement in address quality. So I think there's an opportunity for the industry to go beyond just checking the box and I think now is the time to really start looking at that. So hopefully our listeners will check with their current software provider, whoever they're working with, see if they've got access to some of these industry solutions and start seeing what kind of an improvement we can make on UAA mail reducing that and then improving the attribution for these direct marketing campaigns. Anita: Boy, 40 percent. I mean, how can you ignore that opportunity? Chris: Yeah, exactly. It's not only is it reducing postage, but it's improving the response rate and with a 5.1% response rate on average, now's the time to look at that. So a lot of stuff going on, Anita, with address quality, we're going to stay tuned to that. We're going to keep an eye on what's happening on the governance front as well as any a federal registered notices, so. Anita: Keep and eye on the CPI amount on Thursday. It's posted on the PRC website so then we can truly see what the postal service is intending for an increase in January. Chris: Okay, excellent. All right, well that's what we had today folks. Thank you for listening to the podcast. Anita. Thank you again for joining me. Anita: Thank you Chris. Have a great week. Chris: All right, thanks to everyone and please if you have any questions, give us a call or visit our webpage and as always, let us know how can we help? Have a great day.